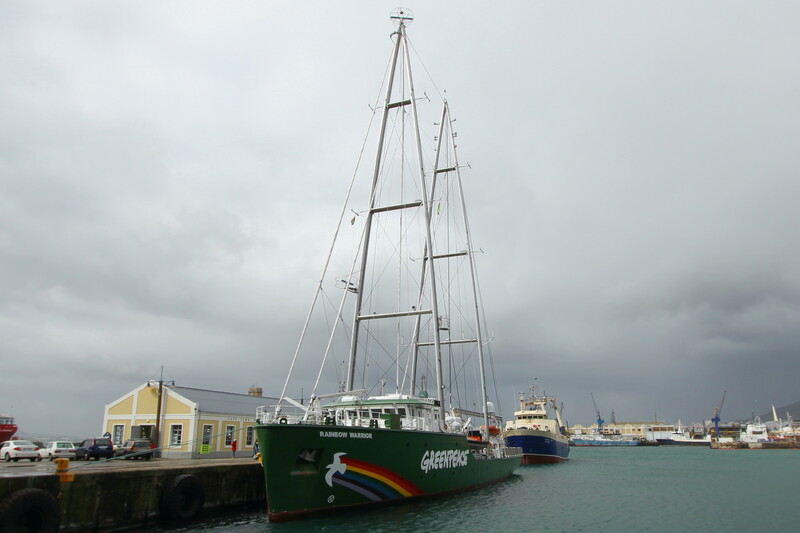 The Greenpeace motor-assisted sailing yacht, The Rainbow Warrior docked in Cape Town and Bush Radio was there to hear and share the message of Greenpeace and Greenpeace Africa to the Cape Flats see the Bushradionews report here. This entry was posted on 13/08/2012 at 2:47 PM and is filed under Projects. You can follow any responses to this entry through the RSS 2.0 feed. You can leave a response, or trackback from your own site.